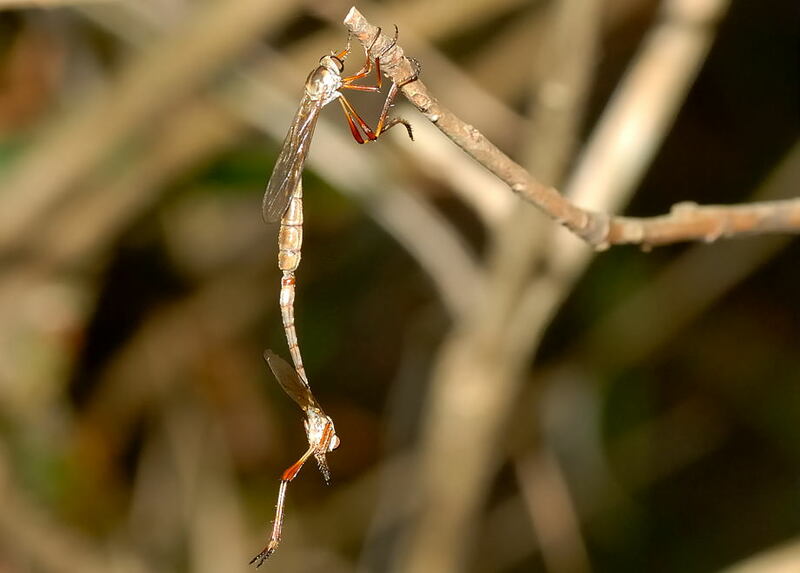 This page contains pictures and information about Slender Robber Flies in Subfamily Leptogasterinae that we found in the Brisbane area, Queensland, Australia. 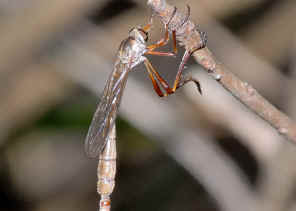 In Australia there is only one genus Leptogaster in this subfamily Leptogasterinae. 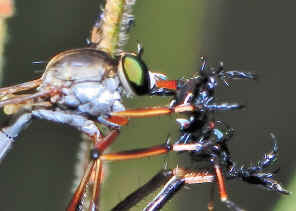 They are quite different from other Robber Flies. 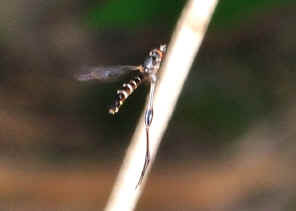 They are relatively small and very slender. 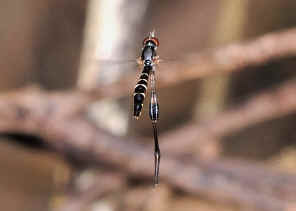 They fly slowly as damselfly and sometimes even hovering. 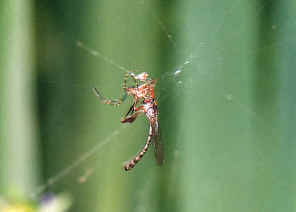 They attack prey that are insects on plants and even spiders on web, but not those flying insects on flight. We found quite a number of different specise in this subfamily but not much information about them is available. - mostly grey in colour. This Grey-legged Slender Robber is brownish-grey in colour with brownish-grey legs. Please check this page for more information. 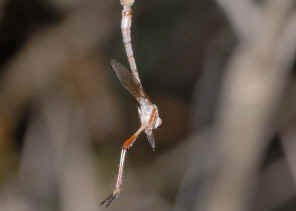 The robber fly is orange-grey in colour. Please check this page for more information. 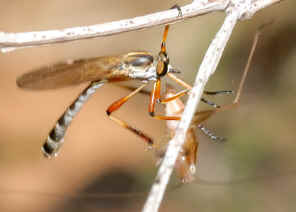 This Slender Robber Fly has the orange-brown colour legs. 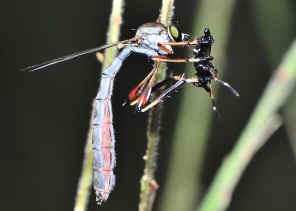 The body is grey to dark-grey in colours. Please check this page for more information. 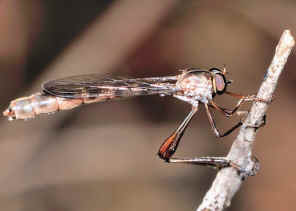 We distinguished this Slender Robber Fly by the dark-brown line patterns on its legs. Please check this page for more information. 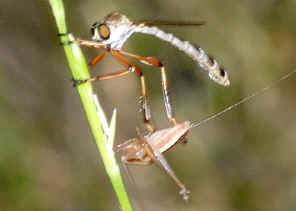 The Slender Robber Fly is brownish-grey in colour with dark-brown legs. Please check this page for more information. 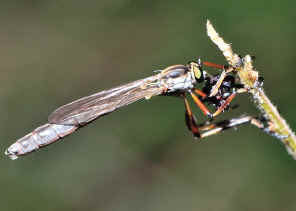 The robber fly has the black body with white band on each abdomen segments. 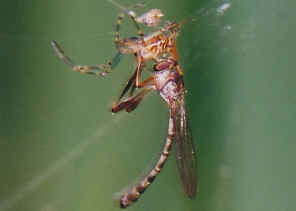 The legs are in dark brown colour. Please check this page for more information. 3. 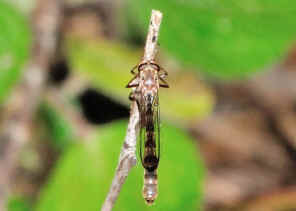 Leptogastrinae page - Rubber Flies. 6. 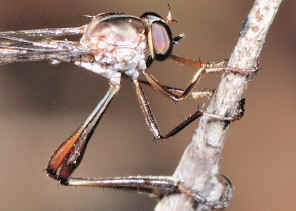 Australian Asilidae - Dr. Robert Lavigne, Honorary Research Associate, South Australian Museum, Adelaide, SA.